As the latest effort to repeal and replace the Affordable Care Act founders in Congress, the Trump administration isn’t slowing down its efforts to undermine Americans from signing up for health insurance. On Friday, the administration announced that healthcare.gov, the website most Americans use to sign up for insurance through the marketplaces put in place by Obamacare, would be down for maintenance for 12 hours every Sunday in the middle of the upcoming open-enrollment period. No explanation was given for the outages, but given the administration’s previous efforts to sabotage the insurance markets, it’s not paranoid to view this maintenance schedule as a plan to keep down enrollment. At a minimum, it displays an indifference to the needs of the population it is supposed to be serving. As part of its mission to translate the false narrative that the Affordable Care Act is failing into reality, Tom Price’s Health and Human Services Department has already announced massive cuts to the navigator programs that fund Obamacare outreach, as well as the budget for ads that alert Americans to the existence of the open-enrollment period. 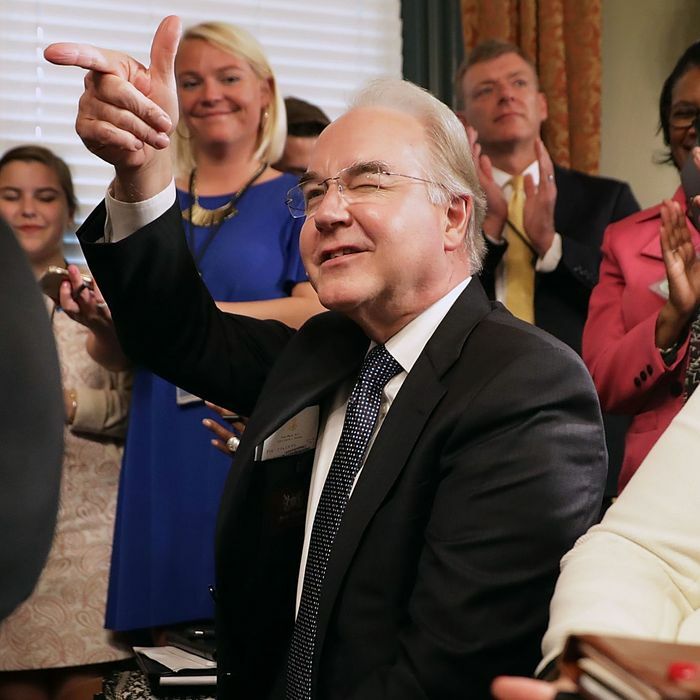 Between possibly sabotaging a vital law and enjoying unnecessary, highly priced charter flights at taxpayer expense, Price’s moral compass is having a stellar week.